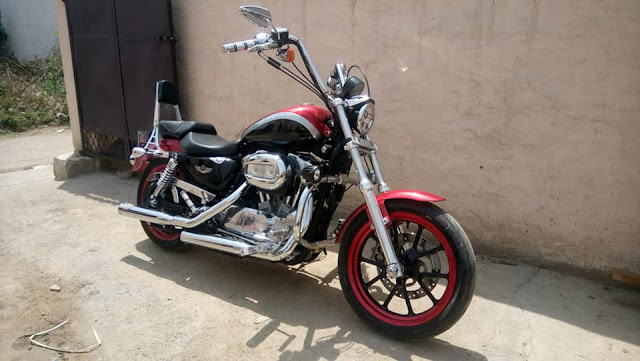 Modbike Onkarpreet Singh built the custom made chopper out of brand new bullet which led this unit to soon get recognized as one of the best in all custom chopper building tag. Today, Modbike is recognized by chopper enthusiasts everywhere. 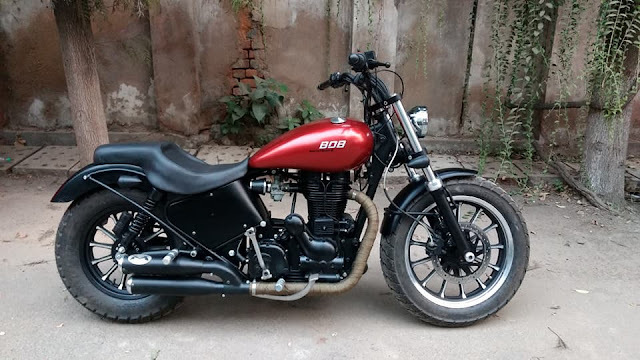 Modbike provides complete projects from designing to full modifications of bikes and also the maintenance and servicing of all kind of imported bikes. 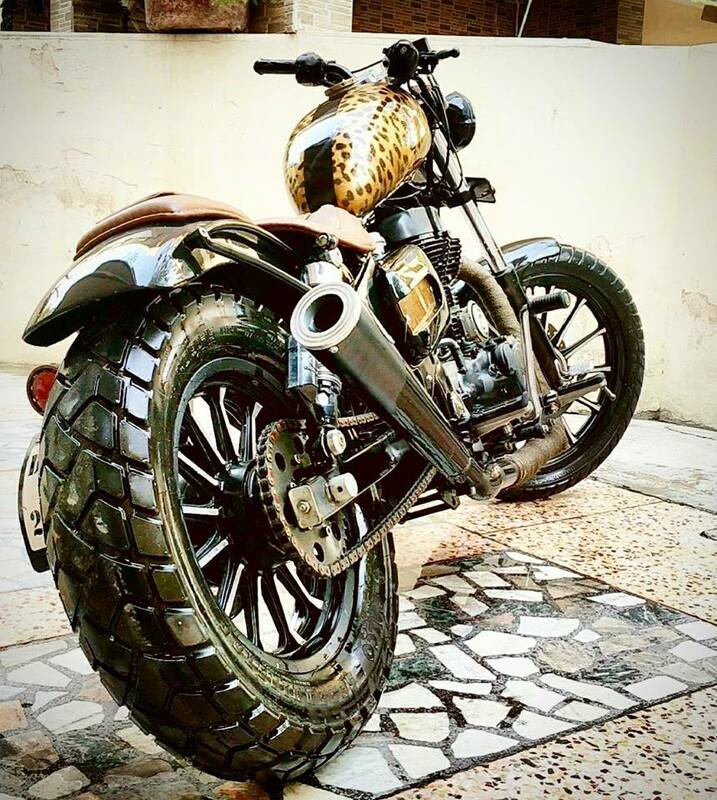 They provide services for Customised Choppers, Super Bikes, Dirt Bikes, Drag Bikes. 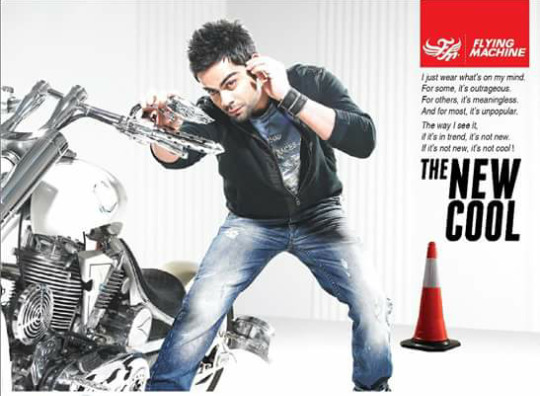 Modbike was the first customised bike unit whose bike got published in Bike India magazine in August 2005. Modbike won many awards including India's first bike building competition and top speed racer for dream bike challenge in the 2008. 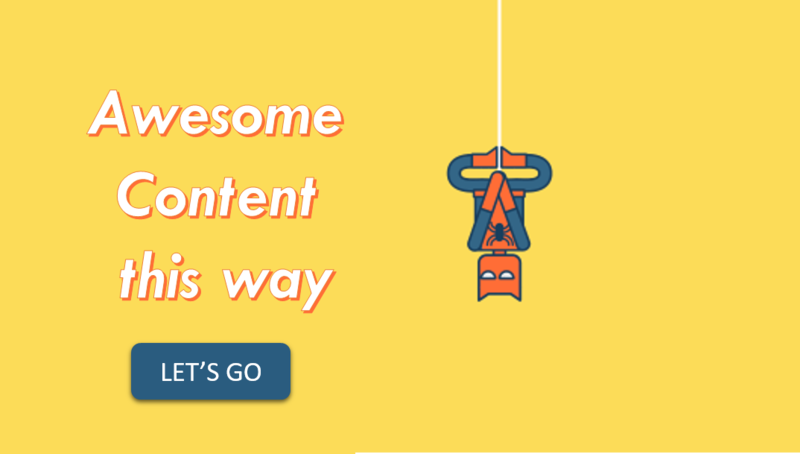 At Modbike the full customization starts with 50k and goes upto 6-10 lakhs. This is the kit for all Royal Enfield Models. There are two colors available Red and Blue. 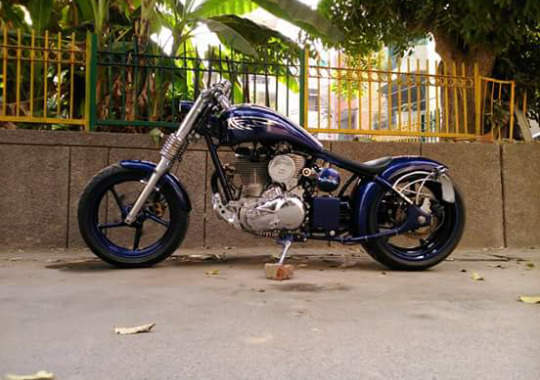 It is Royal Enfield Electra Modified. 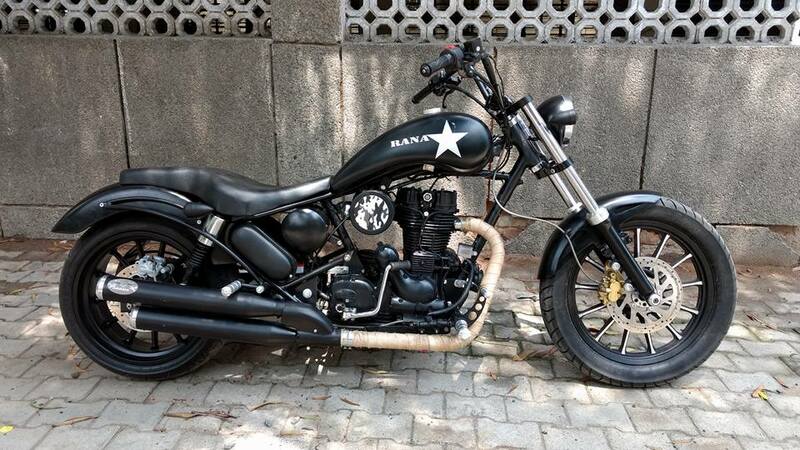 Fully customised chopper out of Royal Enfield 500cc. Bold look with awesome colour. 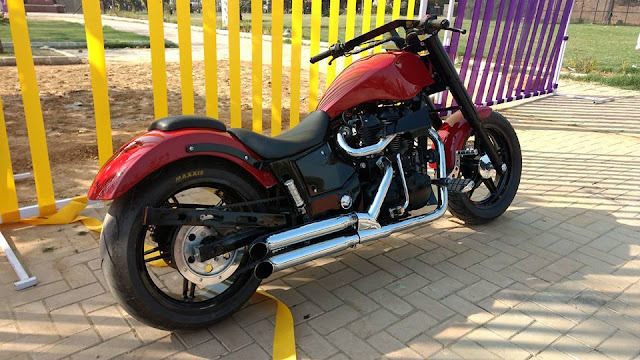 Amazingly customization of Harley Davidson superlow 883 with cool look and delighted colour, also presented at riders music festival. Modbike also sells custom bike accessories. Some their listed accessories are Belt rive System for Royal Enfield, Customised Wheels, Springer Fork for Royal Enfield. They are also planning to open a unit for accessories of Royal Enfield, Harley Davidson and Triumph. It will be called Modbike X.